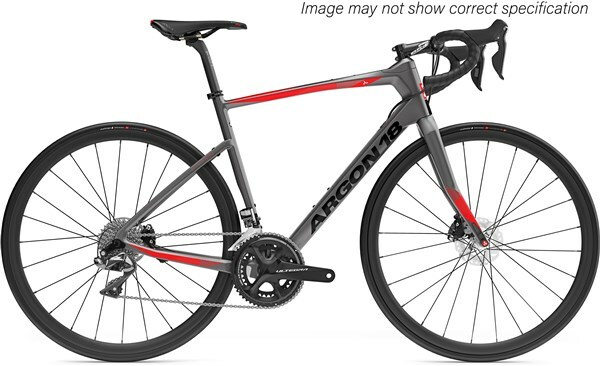 After years of producing high-performance race and triathlon bikes, Argon 18 have created a new line of endurance bikes designed for the most demanding endurance riders. They used their extensive knowledge of race bike geometry to craft an innovative new mould specifically for Krypton line. The new layout offers a stable and comfortable ride with a relaxed rider position while keeping true to their performance heritage. From tube shapes to carbon layups, both frames and forks were designed and optimized for better vibration absorption, aerodynamics, and pedalling efficiency, guaranteeing performance and comfort on even the longest of rides on the roughest of roads. Krypton CS and GF are ideal for Gran Fondos, allowing riders tackle formidable climbs, vertiginous descents, and everything in between. They are perfectly suited for riders of all levels who seek a performance bike without the comfort sacrifices of pure race geometry.